The gain in muscle growth are not always the same for every person, even when following the same training and nutrition plan and this may be due to different factors. In the same way that there are certain points to consider when planning a training and nutrition plan to gain muscle, you also need to consider such are the points that can hinder or slow progress hypertrophy are. To achieve the desired results related to muscle growth it is necessary to systematically carry out certain behaviors and avoid others that can hinder the success so sought. Lack of changes in training is usually one of the factors identified as causing the arrest of muscle development. Vary the exercises and increase the loads is critical, especially because boredom always follow the same routine bring with it the lack of motivation and causes the movements are performed automatically without the effort required to stimulate muscle growth. In the opinion of many experts in bodybuilding over-training is one of the enemies of muscle development. This is because the muscles are fatigued unnecessarily without allowing its recovery and causing an unfavorable climate for growth. An unbalanced diet with few calories can hinder muscle growth, especially if one considers that the body lacks sufficient substrates and to adequately address the energy expenditure required training, thus generating a process natural that causes the body to use the elements of anabolism as an energy source. Many experts say bodybuilding genetics in this control is everything, because some people naturally inclined to build more muscle than others and this is due to various factors such as hormonal balance. Although most people have a genetic acceptable and a low percentage of genetics. Resting little is another factor that can generate a slowdown of hypertrophy, favoring the symptoms of overtraining and not allowing a good recovery after exercise, while preventing the compensation needed for muscles to grow. Poorly executed movements usually do not give the expected results, which also happens when the stimulus is insufficient for the muscle to grow as a result of effort. Poor performance of exercise techniques can also cause injuries hinder further anabolism. 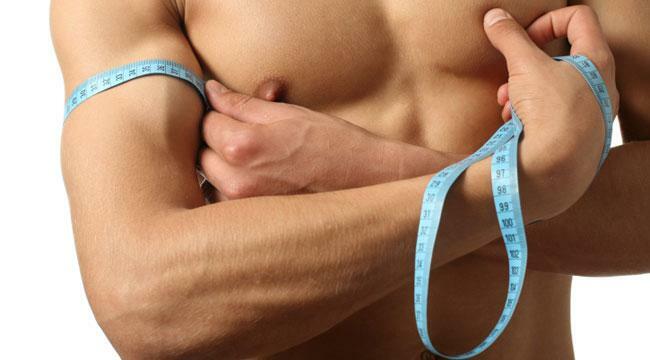 While most of the listed factors are known to affect muscle growth is also important to know that you can modify through the advice of a professional to provide advice on the matter. Avoid the points that affects muscle growth and implement those that favor then be the keys to success for a healthy workout.